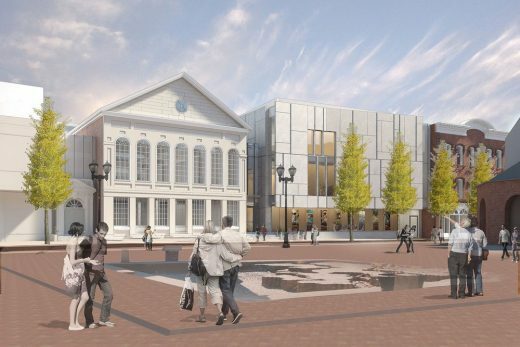 New York, NY, December 21, 2016 — Ennead Architects broke ground last week on construction of the expansion of the Peabody Essex Museum (PEM), one of the fastest-growing art museums in North America, located in Salem, Massachusetts. Part of one of the largest art museum campaigns in the country, the expansion includes the addition of a 40,000 SF wing designed by Ennead partner Richard Olcott, along with 17,500 SF of renovation to adjacent structures. 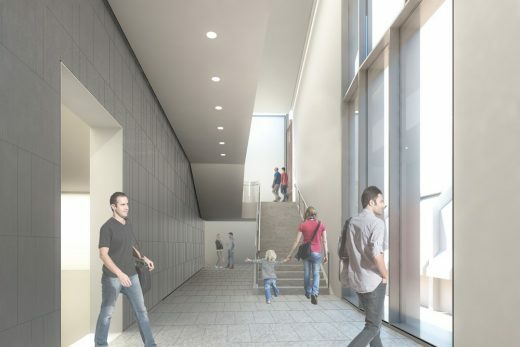 When the project is complete, gallery space will be increased by 15% for a total of 100,000 SF, ranking PEM among the top 20 art museums in the country. Occupying the northwest corner of the museum complex, the new wing with its striking glass and stone façade will adjoin East India Marine Hall to the east, the Asian Export Art Wing to the south, and a new 5,000 SF garden to the west. 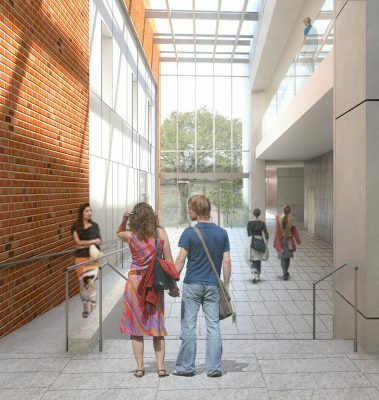 The wing consists of a three-story, state-of-the-art gallery space connected to the existing museum through a two-story, glass-enclosed atrium. This naturally lit, interior atrium brings the historic Salem street fabric into the museum while providing new space for circulation, respite and events. 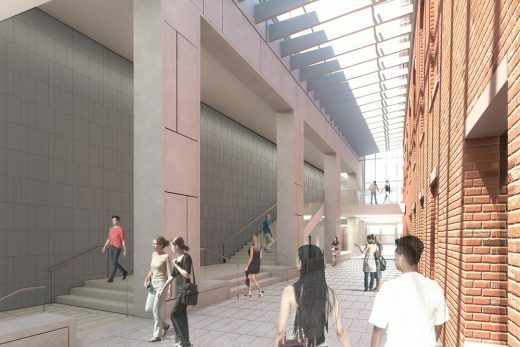 The west façade of East India Marine Hall—a National Historic Landmark and museum founding structure—is being renovated and given renewed prominence in its location along Essex Street within the new atrium. Founded in 1799, PEM is the country’s oldest continuously operating museum, with a unique campus boasting superlative works from around the globe and across time. 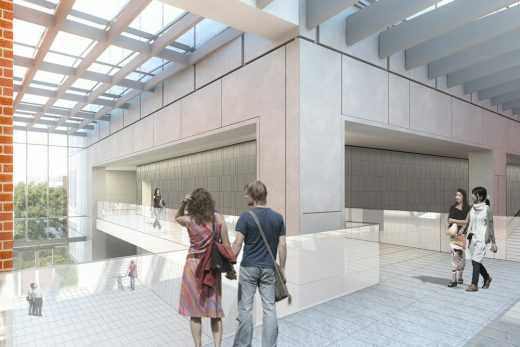 “Designed to clarify and strengthen the Museum’s current programming, the new wing will enhance the older sections of the museum while providing new gallery spaces dedicated to the presentation of the museum’s extensive collection, creating a new, unified sequence throughout,” says Mr. Olcott. “At PEM we push the envelope and never rest on our laurels. 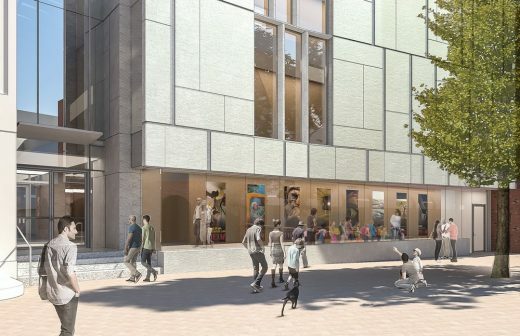 Our expansion project gives us an exciting opportunity to reinvent our museum, creating team-based approaches to inquiry, concepting, interpretation and design,” says Lynda Roscoe Hartigan, PEM’s James B. and Mary Lou Hawkes Deputy Director. The new wing will open to the public in 2019. Mr. Olcott leads the Ennead team with management partner Molly McGowan.